*This post may have affiliate links, which means I may receive commissions if you choose to purchase through links I provide (at no extra cost to you). Please read my disclaimer for additional details. Thank you for supporting the work I put into this site! 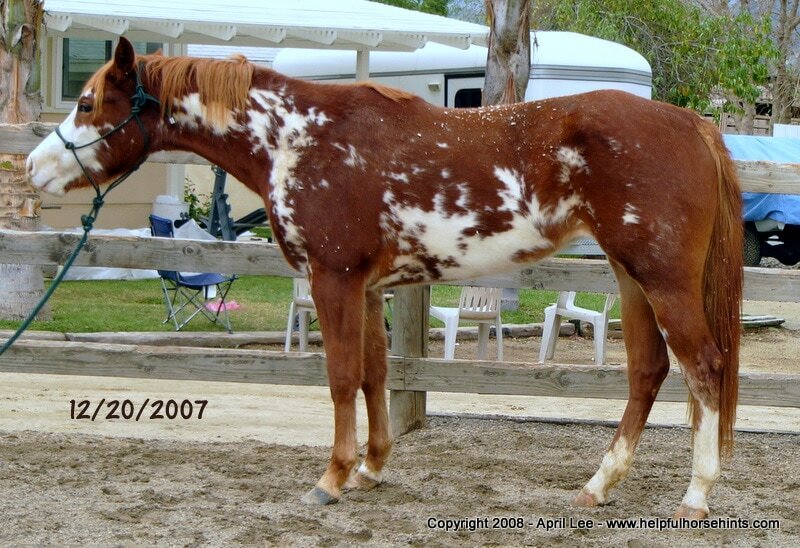 This 3 yo APHA mare is the only one my best friend and business partner has ever expressed regret for selling. 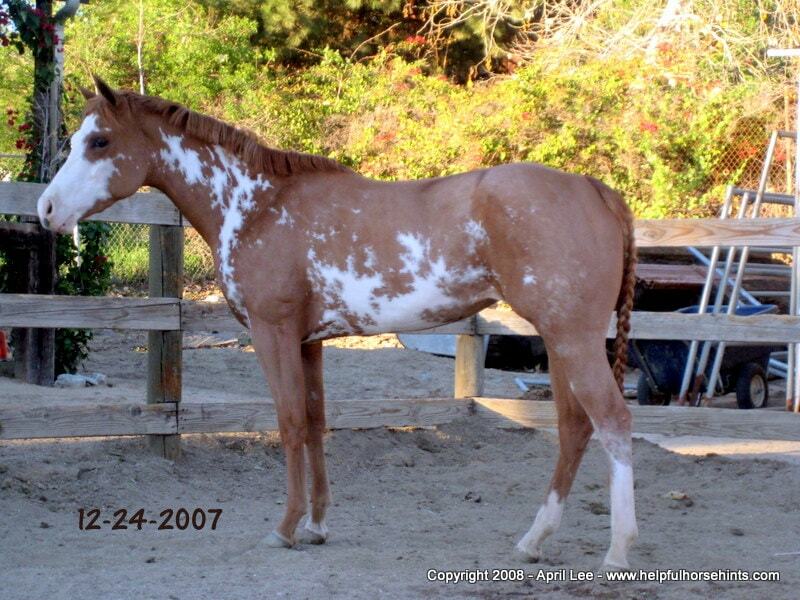 To this day she cites this as the one horse she wishes she would have kept. This little girl came to us very thin and loaded with strangles so bad she could barely breathe. The first night was touch and go, we thought she might not make it. Once her strangles started draining, she started eating and very quickly put weight on. All she could eat Alfalfa hay as well as regular snacks of grass hay. She was also dewormed. Our normal procedure was to do this the day the horses come in. She was delayed a few days due to her illness. Sara needed and got everything. 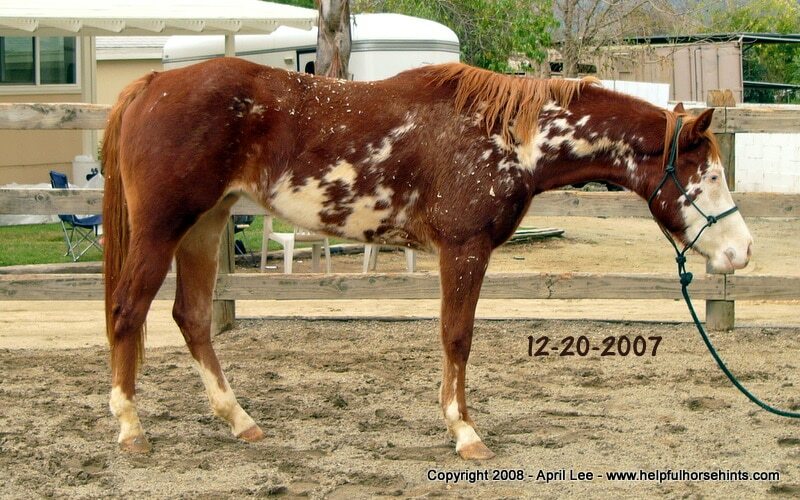 She was not broke when we got her, thin and sick. 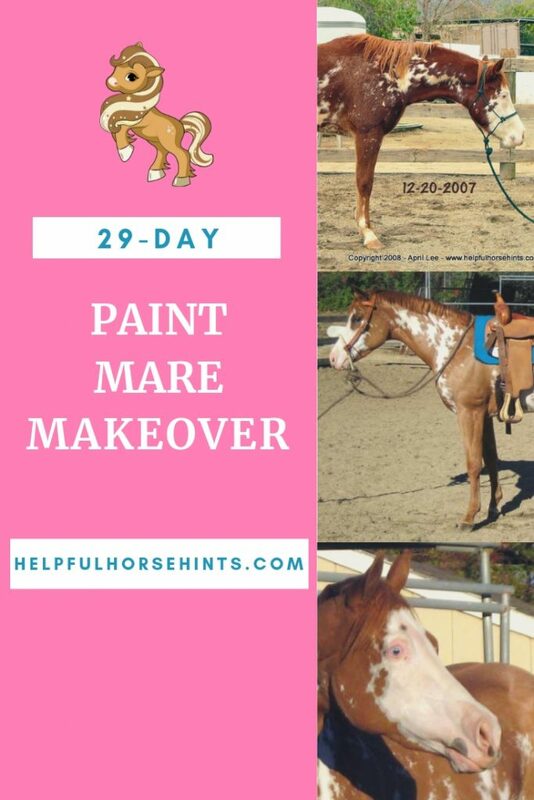 Good nutrition, good care, grooming, training and she transformed into a beautiful horse whom we delivered straight to a training barn. We sometimes body clip so you can “see” the horse. Especially for thin horses. Don’t worry, she was nice and cozy in her blanket in a barn full of shavings. Plus, our southern California location means it doesn’t really get that cold to begin with. 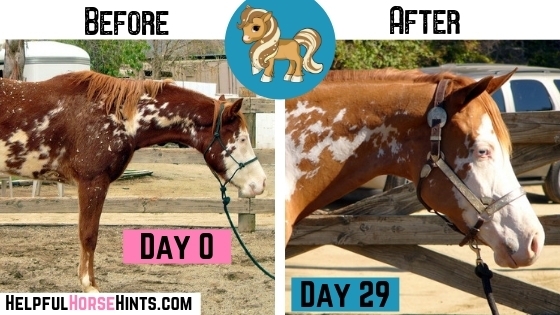 This grooming makeover made a big difference on her as did pulling her mane. Just four days later she was feeling better and starting to look better. Still too thin, but you can see how the body clip and mane pull made a big difference. 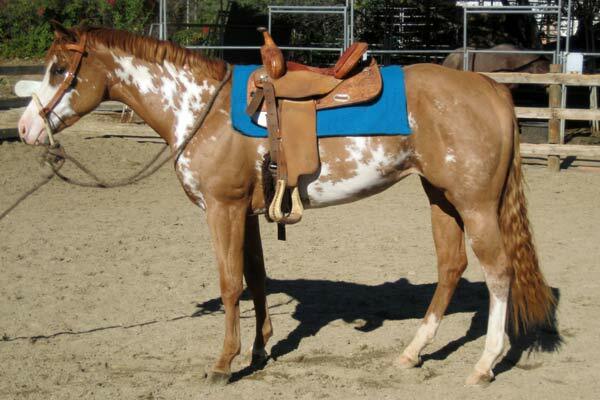 At this point, Sara was being started under saddle. She’d gained a lot of weight and muscle and was looking and feeling great! 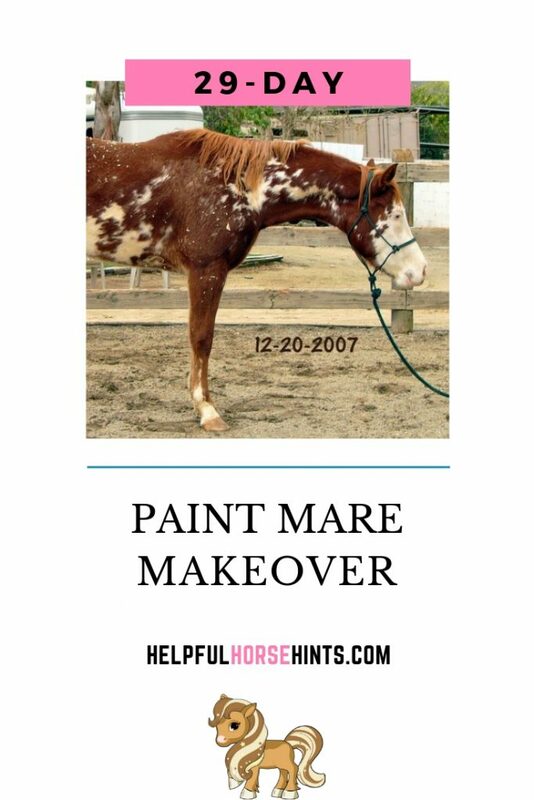 If you enjoyed this post, check out these other awesome makeovers! 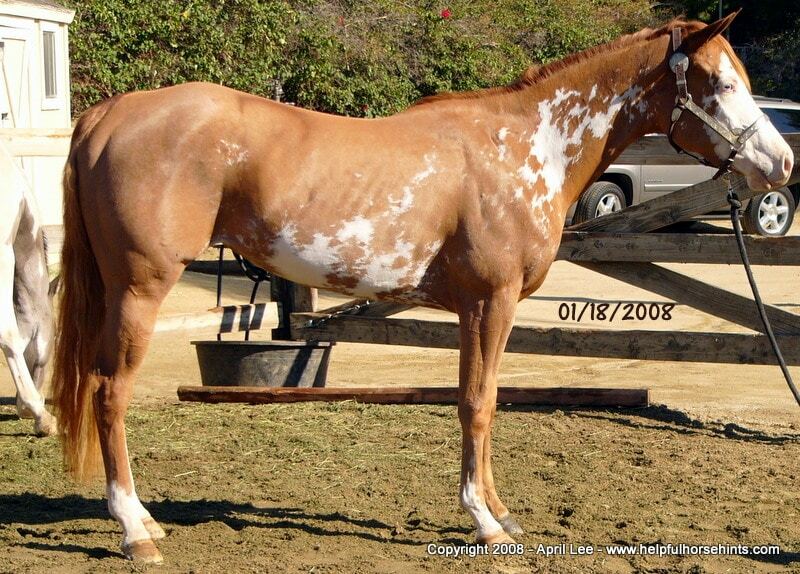 What Does OTTB Mean in the Horse World? 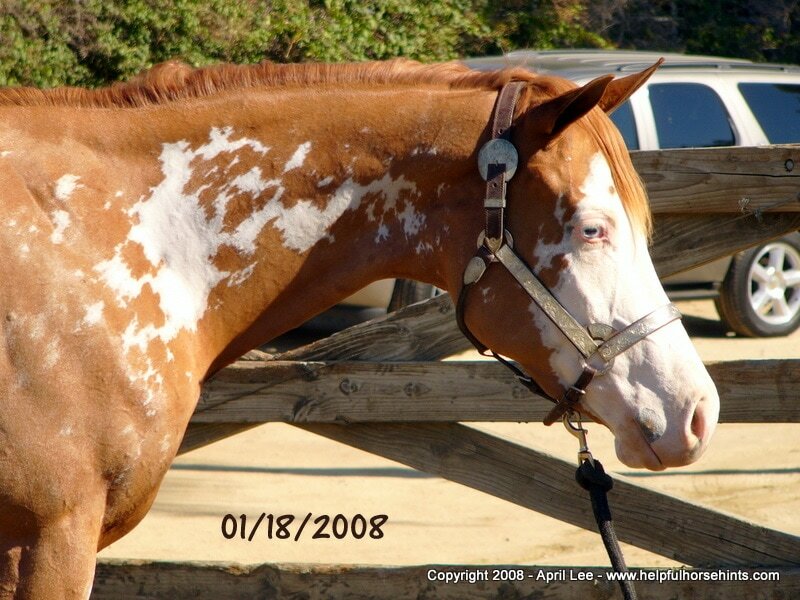 Helpful Horse Hints is a participant in the Amazon Services LLC Associates Program, an affiliate advertising program designed to provide a means for sites to earn advertising fees by advertising and linking to Amazon.com.